Consultations and fitting nationwide by appointment . get your special offer ..
Free Fitting too with this months orders. Free fitting for orders placed this month . Lead time for Wildthings Dublin shutter range as low as 2 to 3 weeks / order now for March fitting . Normal shutter lead time 10 to 12 weeks / so last orders for April/May fitting are this month. Easy payment plan if ordering in the next 2 weeks for 10 to 12 week shutters. Just pay 30% deposit . 30% in January and balance with fitting . 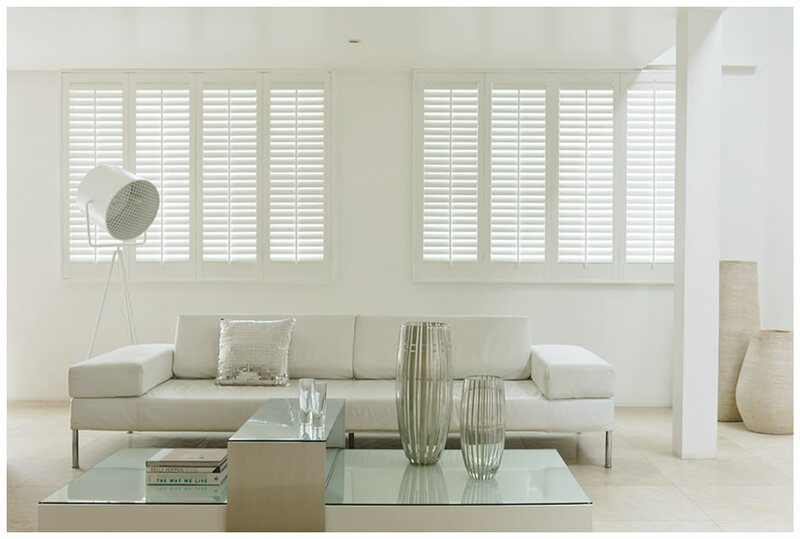 Lots more reasons too, read on to learn all about shutters . 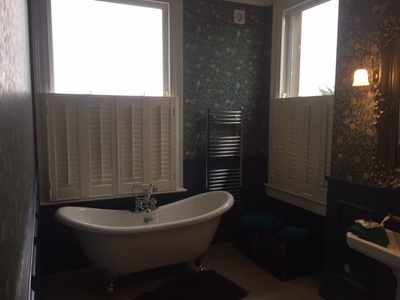 Wildthings Shutters are by far the best value available in Ireland. If you get a cheaper quote it is most likely for an mdf product. 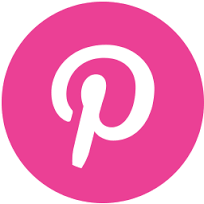 ​ Our advice is to buy basswood or vinyl never mdf. All the advantages of vinyl but on your windows much quicker. 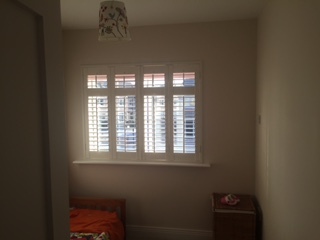 The Wildthings 10 to 12 week shutters are made in China offering great value for money. 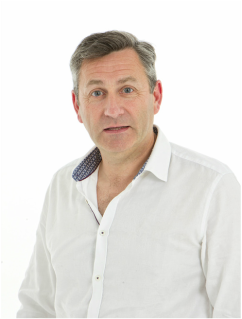 To get your order into production & get special terms just call Gerry. 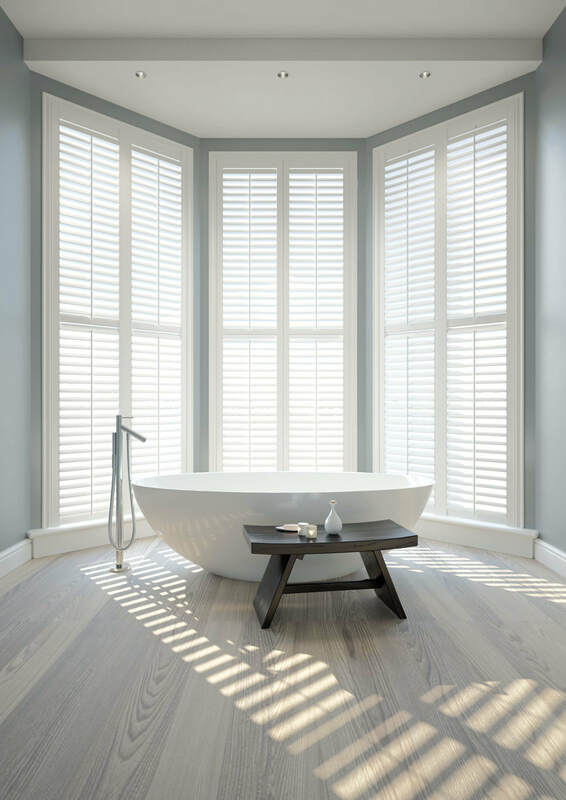 Window Shutters or Plantation shutters as they are sometimes called - originated in the US, where they are sold as standard in many homes. 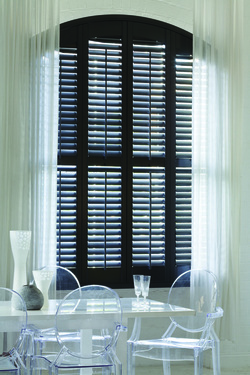 Be it a showhouse in the Hamptons or apartments in the city, shutters are most often the window treatment of choice. 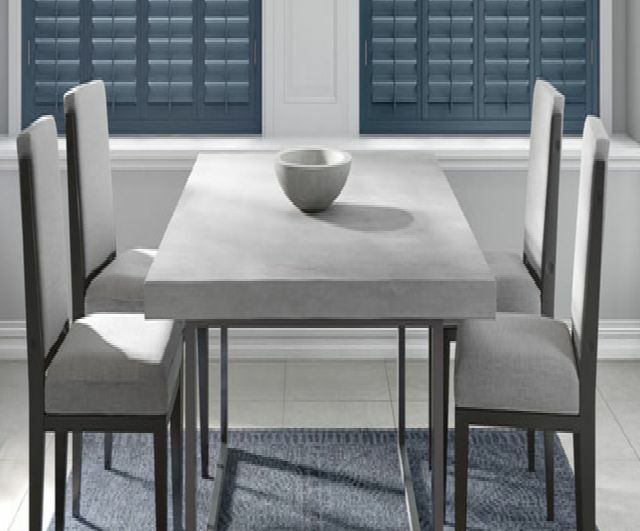 The sleek simplicity of design brings character to homes, from period residences to apartments. They are featured across Europe and the UK - especially London - and are the favoured window treatment for homes in Notting Hill. 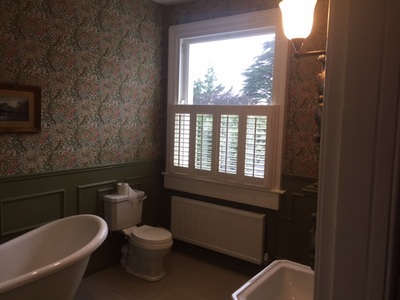 Housing developments old and new in Dublin and across the country are showing an increased interest and appreciation for the value of shutters. 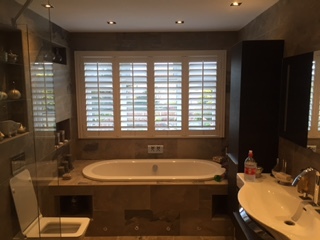 We have known clients to install shutters before they sell their homes to add value to their property. 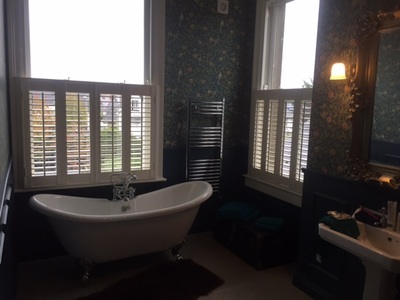 Of course Wildthings shutters can be fitted all over Ireland. 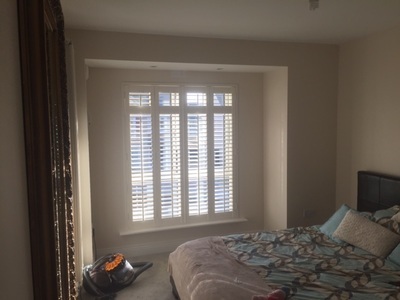 Our prices are competitive and lower than most & our expert shutter fitters are trained & fully insured. 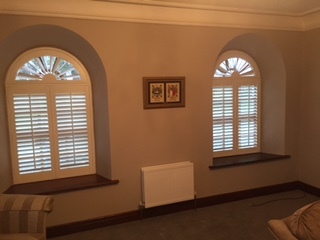 We have shutters in wood and vinyl and lots of colours for the designer touch. In addition to "The Wildthings" range shown, we also have a new range with a 3 week lead time. ​The "Dublin vinyl shutter" range is excusively available from wildthings . 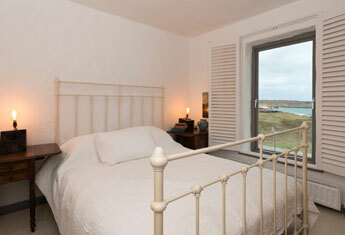 Shutters are also perfect for holiday and seaside properties. They are easy to maintain and offer great security and insulation. 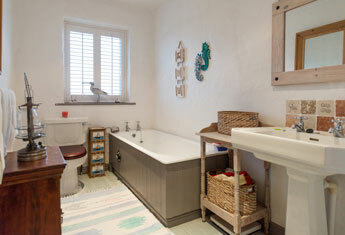 The following images are from one of our favourite projects . 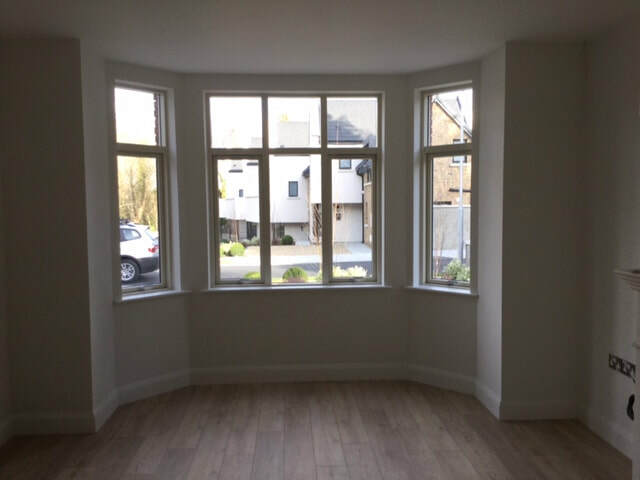 Our lovely clients, mother, father and 2 children were living in Dubai and needed a full house fitted out in Dublin as they were returning home after 10 years abroad . 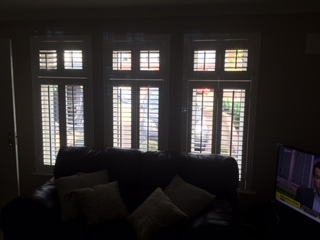 John was very happy with the ideas proposed and Mary and I over a few more emails ordered blinds and shutters. 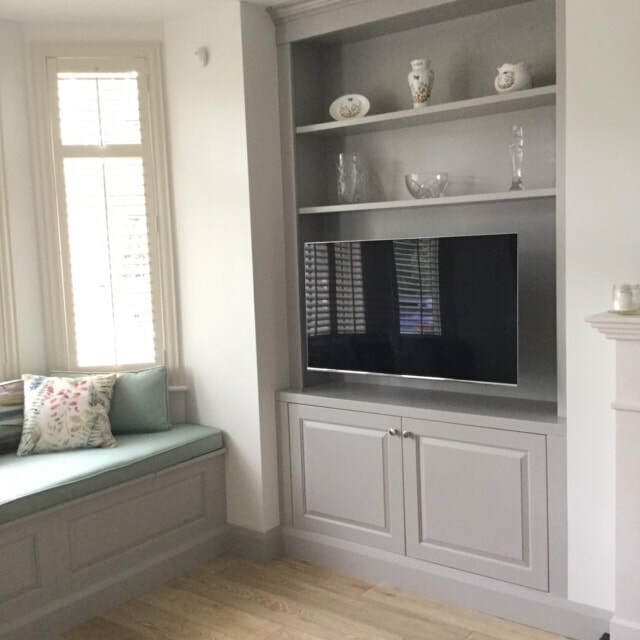 We also designed and fitted bookcases ,window seats and radiator covers. Mary came home for a short visit prior to moving & following a 1 hour meeting we had finished the rest of the house . 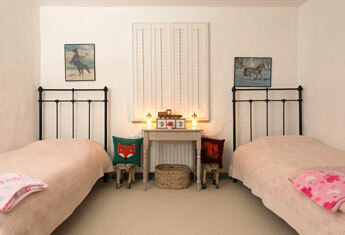 Curtains and carpets were chosen for the rest of the house and even custom made headboards and beds. 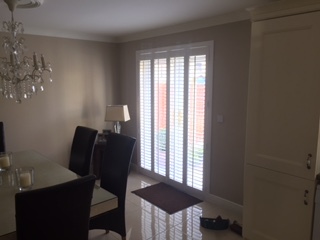 The family moved in 6 weeks later and everything was fitted prior to the move with the shutters fitted within the 12 week leadtime . 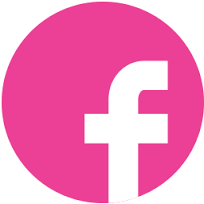 Everything went so smoothly and our clients are delighted with the results . 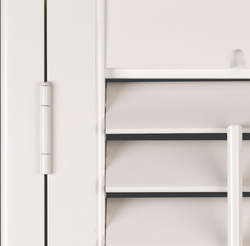 We have worked closely with our suppliers to bring you the best value vinyl shutter on the market. It looks like and feels like a wooden shutter. It is available in our best selling colours. Our price is a staggering 36% cheaper than the average rrp. Try our new Dublin Shutter vinyl range made in Ireland and measured and fitted in under 4 weeks. Some good reasons to buy vinyl plantation shutters now. 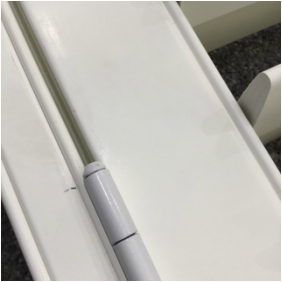 HSPVC enables this Collection to be water resistant, suitable for areas with high moisture content. 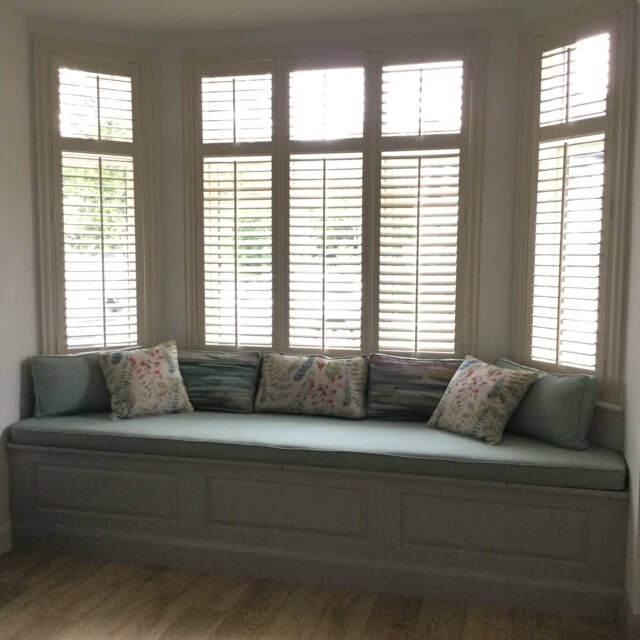 Faux wood shutters offer a 10 year warranty however it is most unlikely that even in 25 years they would need any attention and we are always available to consult with you and offer a lifetime backup service. 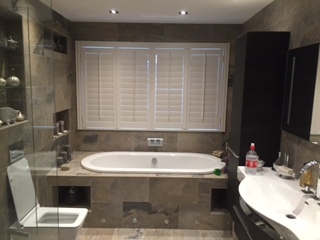 Available in 6 tones of white and greys, 90% of shutter sales are white tones. 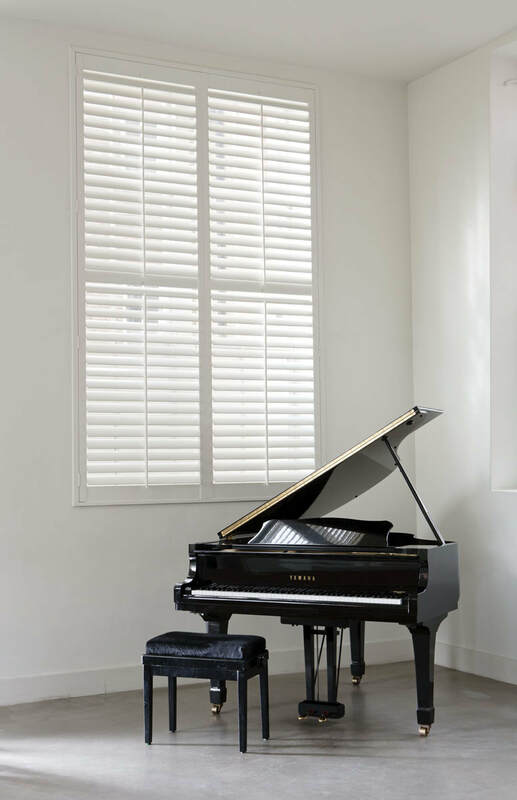 Vinyl Shutters; Insulate more than two times greater than wood. Looks and feels like wood! Guaranteed not to crack, warp, peel or yellow. Vinyl shutters are this easy to clean ! Gerry inspecting production of our Irish made Dublin shutter range . 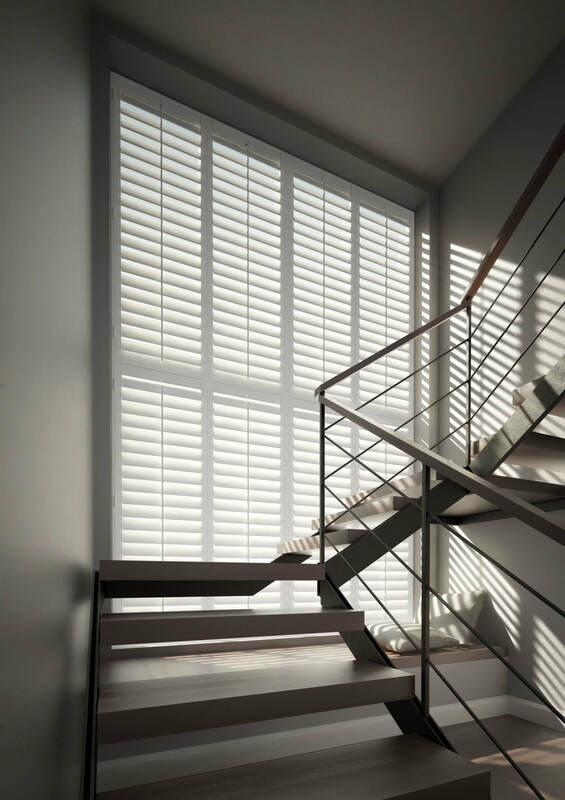 Shutters give you the freedom to control the mood and degree of light. At a touch, change the aspect from dim-out, to bright, or delicate light diffusion. 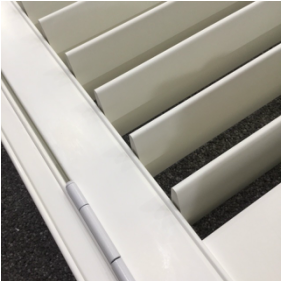 The sleek adjustable blades in various slat sizes, ensure privacy, add to security, reduce external noise and can enhance insulation properties. 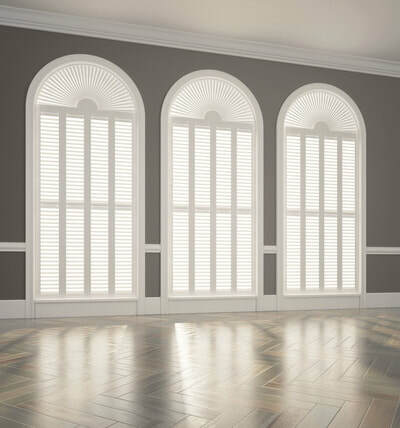 Shutters are an ideal solution for shaped windows. 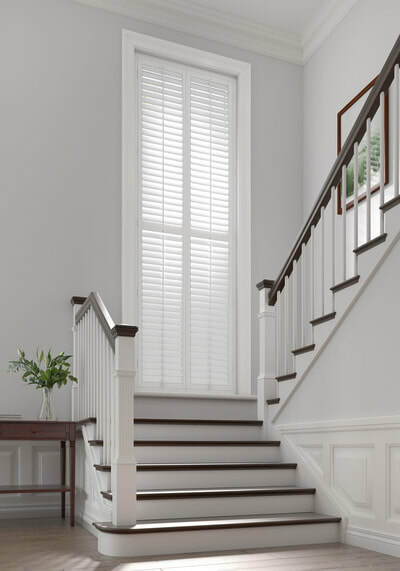 One of the most important details when ordering shutters to insure that the shutters are designed correctly to complement your window shape. My personal favourite shape is to have the lower 2/3 and upper 1/3, controlled separately. This means you can have total privacy and yet have the top fully tilted open for light and air flow. We can match to Farrow and Ball, Dulux, Crown or whatever colour chart you choose. 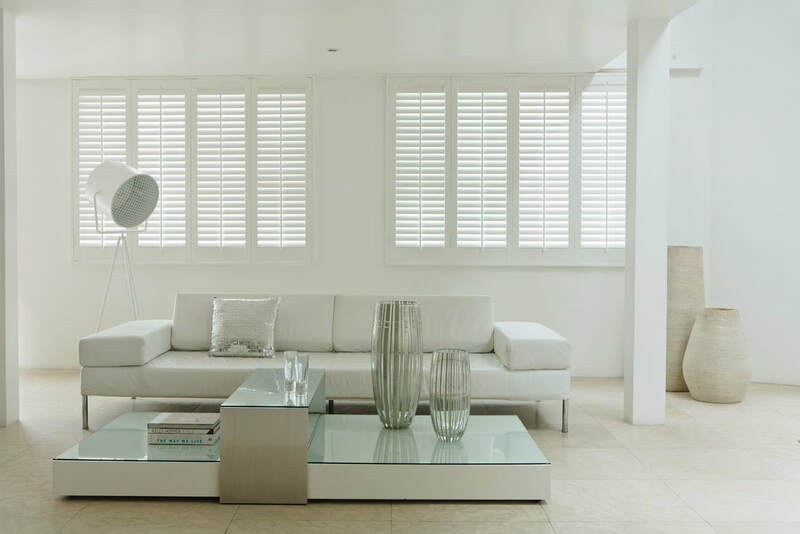 Our range of shutters are designed with colour, quality, and attention to detail top of the list. 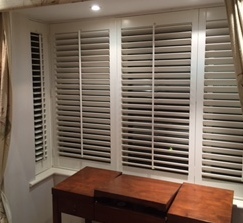 If you would like a consultation with one of our shutter experts please call 01 6274977. Our shutters are featured in many magazines and if you would like your home featured on completion just let us know, we will see what we can do. We make the whole process of designing and choosing simple for you. Wildthings basswood shutters are available in 3 blade sizes, 63, 89 , and 114mm and in the white and cream palette of colours. 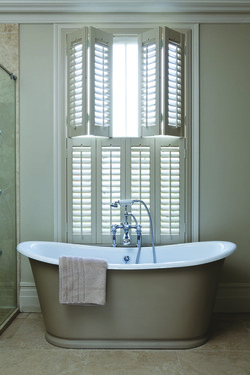 Wildthings solid basswood shutters are available in 47, 63, 89, and 114 mm blade sizes. They are available in the white and cream palette but in addition it has the carefully chosen taupe’s to soft clay, French greys and black. Custom colours and gloss also available. 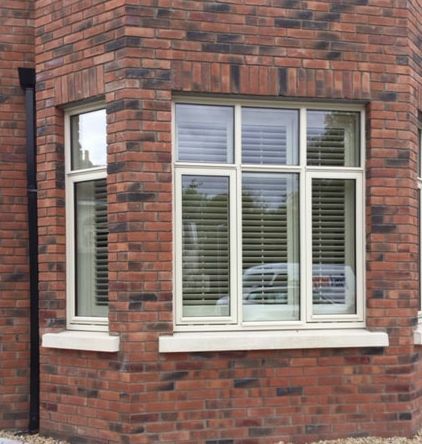 Some clients in new developments in Dublin such as Disswellstown Manor, Fairhaven and Rokeby are availing of our 3 week plantation shutter lead time. The 3 week lead time is perfect for those looking for security and privacy in new homes. Exclusively offered by Wildthings. Available in 4 colours as shown and in 63mm blades. Of course your custom colour need not be pink, we chose this colour to get your attention! The message is you can have ANY colour you want. Of course we will help you make the right decision. Numerous frame options available. All windows are different, we will help you choose a suitable frame for the design of your window and interior. 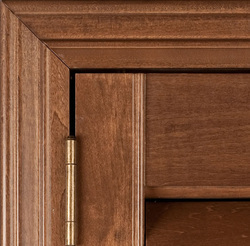 It is very important to get this right and that it compliments the overall design of the shutter. Hinges available in chrome, brass and painted. Can they be used on shaped windows? A. Yes they are a perfect solution for triangles and even round windows. 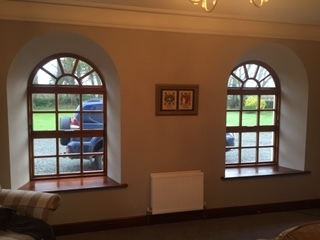 Can they be fitted if windows are off square? Yes, when we measure we make notes of any adjustments that might be needed. Can they be painted to match my decor? Yes any colour, but there is a supplement for this service. No, Just a light dusting. 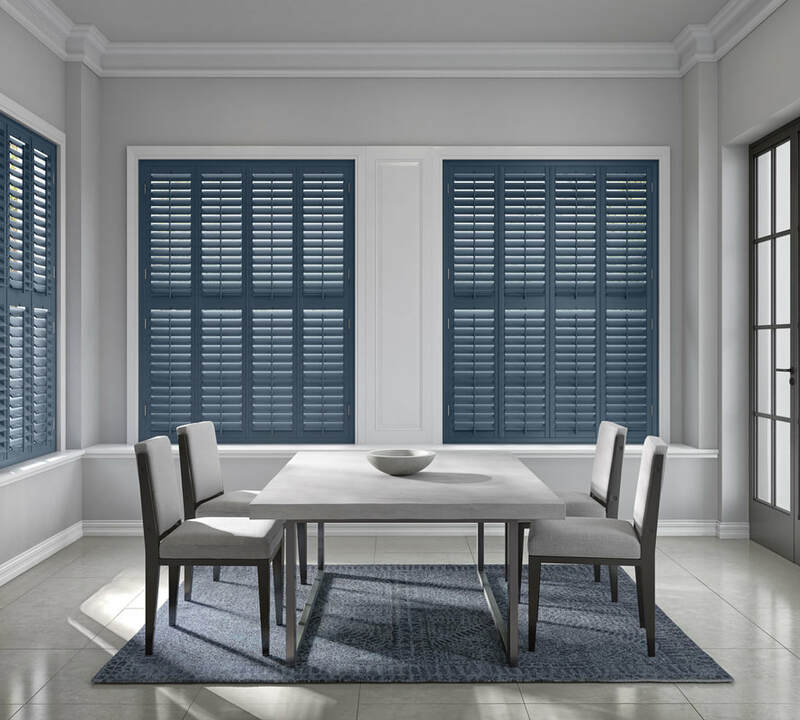 Dublin range Vinyl shutters 3 to 4 weeks . The fastest shutters in Ireland . Do you measure, supply, and fit? Yes and all our staff are fully trained. We use the latest laser technology for accuracy when measuring. When you use Wildthings you are dealing solely with our company , we do not send a third party to measure & fit. We take full responsibility from start to finish & you will always be dealing with our Irish company, not an agent. Some English Companies have set up call centers in Ireland with .ie addresses but these are easy enough to spot, in those cases you would be dealing with a call center, an agent and then a fitter. Do the shutters come with a guarantee? Yes 10 years for wood & up to 25 years for vinyl. 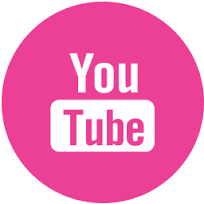 You are also given our personal guarantee of 100% customer service from start to finish. 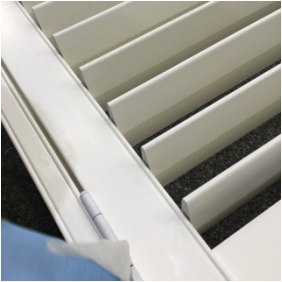 Vinyl shutter lead time approx 8 to 10 weeks and basswood 10 to 12 weeks . Dublin vinyl range lead time normally 3 to 4 weeks. So now its even easier to own Wildthings shutters . Your shutters are just a call away . 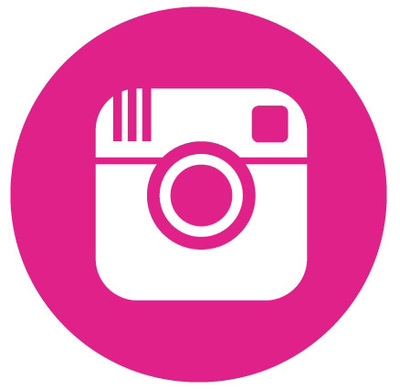 Your WildThings shutter quote is free .